I'm sitting close to the pier in the small community of Amapala on Tigre Island in Honduras, an island surrounded by the Golf of Fonseca. The island is located in southern Honduras and I can see Nicaragua and El Salvador from the pier. The island may be a potential site for the first ZEDE (Zones for Economic Development and Employment) in the country. 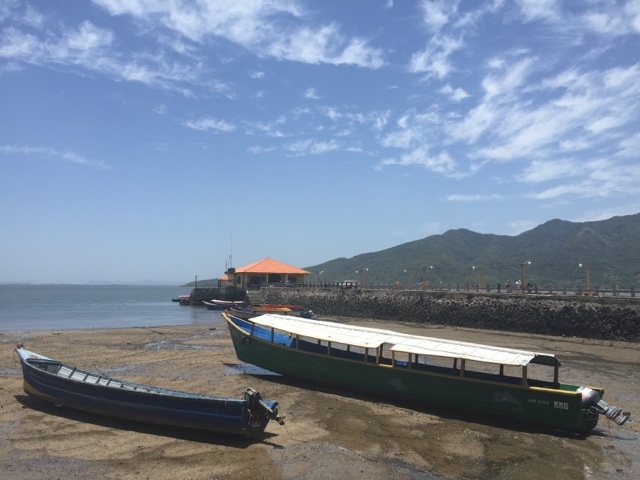 The ten communities on the peninsula of Zacate Grande are facing imminent eviction as rumours in the Honduran media report that the South Korean government has delivered a feasibility study for the ZEDE. Zacate Grande is attached to mainland Honduras and may become the location of a bridge that attaches the rest of the country to Tigre Island. Large regional and national land owners including the Malespin and Facusse familIes are pushing strongly to remove the communities of Zacate Grande from their territory despite living on the land for decades, knowing that land prices will skyrocket once the government finds international investors to finance the ZEDE project. 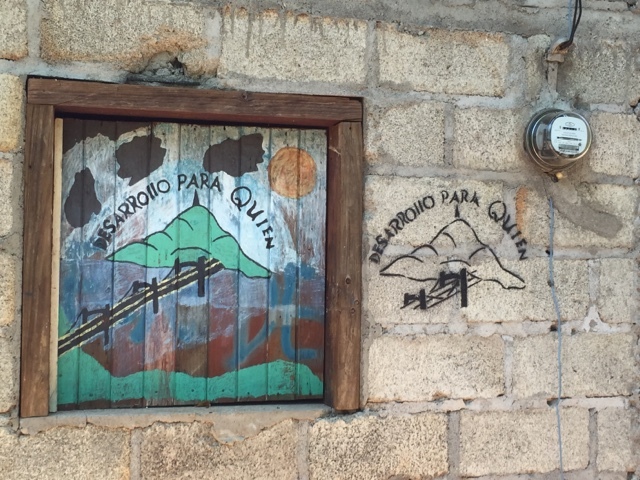 Caption: On the wall of a house in the community of Playa Blanca in Zacate Grande. Painting reads "development for who?" The owner of the house has been called to appear before a judge next Tuesday as a large land owner claims ownership to the land where his family's house and farm land are located. He has a fabulous view of the beach and the Golf of Fonseca from his modest front porch.